New faculty joining Illinois Tech in 2018–19 include researchers and scholars in Armour College of Engineering, Chicago-Kent College of Law, the College of Architecture, the College of Science, the Ed Kaplan Family Institute for Innovation and Tech Entrepreneurship, Lewis College of Human Sciences, and the School of Applied Technology. Emily Aleisa (LW VAP) taught CK's evening sections of LW 1 & 2 last year on a temporary basis. She has now joined CK as a full time legal writing VAP. Emily is an alum, and served on the law review. She comes to us from the Illinois Bankers Association, where she was an assistant counsel. She has also served as staff attorney for Illinois' 18th Judicial Circuit Court. Daniel Birk (VAP) obtain his J.D. from Northwestern (where he was the managing colloquy editor for the law review); BA from Univ of Notre Dame; Master of Arts in English Education from CUNY, Brooklyn College. 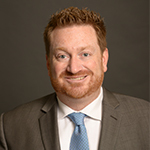 Dan comes to us from Elmer Stahl LLP, where he litigated in both federal and state courts. He clerked for both Judge Ripple of the Seventh Circuit and Judge Shadur of the Northern District of Illinois. Among his recent publications are The Common-Law Exceptions Clause: Congressional Control of Supreme Court Appellate Jurisdiction in Light of British Precedent, forthcoming in the Villanova Law Review, and Adverse Interests and Article III: a Reply, with James Pfander, in the Northwestern Law Review. 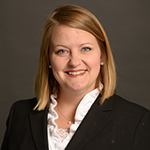 Shannon Burke (VAP) obtained her JD from Michigan State Univ College of Law (where she was editor-in-chief of the law review); BA from U of I Champaign. Shannon comes to us from Chapman & Cutler LLP in Chicago, where she was the professional development & pro bono manager. She has also taught as an adjunct at both Loyola and DePaul. She clerked for Justice Neville on the Illinois Appellate Court and Justice Kelly on the Michigan Supreme Court. 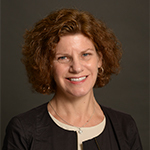 She has written several pieces for the CBA Record and the Chicago Daily Law Bulletin, among other publications, on issues of civil procedure and family law. Maggie X. Cheng joins Illinois Tech this fall as associate professor of applied mathematics with tenure. 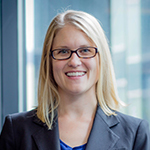 Her expertise is network data analytics, in particular, anomaly detection and network inference. Her research focus is on developing optimization and data analytics algorithms for networks and cyber-physical systems. Dr. Cheng’ research takes a multi-disciplinary approach, combining mathematics, statistics, and computer science. Her collaborators come from multiple disciplines as well. Dr. Cheng’s research has been funded by the National Science Foundation, Department of Energy, Department of Education, and the National University Transportation Center. Before joining Illinois Tech, she held tenured appointments in the computer science department of Missouri University of Science and Technology and in the school of management at New Jersey Institute of Technology. Maurice Dawson joins the Information Technology and Management Department as an Assistant Professor in Fall 2018. He will serve as Director of IIT’s National Center of Academic Excellence for Cyber Security Education. Maurice has earned a PhD in Computer Science from Colorado Technical University in 2009 and a PhD in Cyber Security from London Metropolitan University in 2017. Prior to joining IIT, Maurice served as an Assistant Professor of Information Sytems – Cyber Security at the University of Missouri, St. Louis, where he held several positions in Cyber Security. He a Fulbright Scholar and a Senior Research Fellow in the American Policy and Leadership Foundation. He is the founding editor-in-chief of the International Journal of Hyperconnectivity and Internet of Things (IJHIoT). He has over 100 research publications and has received several funded grants. 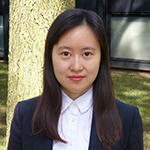 Xiaoqian Li joins the Humanities Department in Lewis College as an assistant professor of digital humanities. Dr. Li received her Ph.D. in Media Studies from the University of Texas at Austin in August 2018. In addition, she holds a Master’s degree in statistics from UT- Austin. 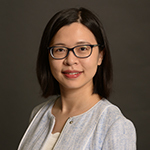 Dr. Li’s research focuses on access to digital technology in disadvantaged communities, digital privacy, and social networking among Chinese international students. She comes to us already with 7 publications and several works under review. She was the project manager for the digital inclusion evaluation segment of the Unlocking the Connection Initiative, a program funded in part by the Housing Authority of the City of Austin and the Ford Foundation. She has received several awards including the outstanding research assistant award in the Department of Radio-Television-Film at UT-Austin. She will be teaching courses in social network analysis, communication and media theory, and user experience. 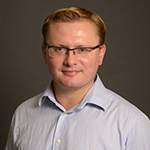 Sergey Nadtochiy is a well-recognized young researcher in the areas of mathematical finance, stochastic analysis, stochastic processes and game theory. His academic pedigree includes degrees from Moscow State University and Princeton University, as well as post-doctoral experience in the Oxford University and the faculty experience in the University of Michigan. Sergey is an important addition to the stochastics research group in the Applied Mathematics department at IIT. He will bring in an extraordinary research and teaching experience, and research and teaching potential. His research has been supported by research funding from the National Science Foundation, including the prestigious career award. Naum Neskoski joins us a lecturer in humanities. 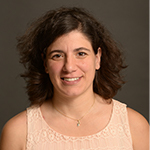 Naum has been a part of our community for several years as an adjunct instructor and writing center tutor. He holds a master’s degree in applied linguistics and TESOL from the University of Illinois-Chicago. Naum is dedicated to fostering the development of writing skills for all students through a variety of traditional and unconventional strategies. Naum will be teaching University Writing and continuing to tutor students individually in the Humanities Department’s writing center. 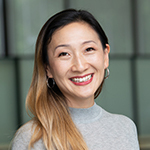 Jennifer Park joins the College of Architecture as a Visiting Assistant Professor this fall semester and will be coordinator second year undergraduate studios. Professor Park received a Bachelor of Arts in Architecture and Art History from Columbia University in New York City and her Master of Architecture from University of California in Los Angeles (UCLA). She believes in teaching students how to think critically about the social and political environment as part of the design process. Her research is tied to how current economic forces shape perceptions of urban design and architecture. Professor Park is the founder and principal of Jurassic Studio in Chicago and is part of the collaborative exhibition design team working on the Obama Presidential Center. She was acknowledged as one of Chicago's 2015 Women of Influence in Michigan Avenue magazine. Harry Smith (MMAE) is an accomplished Aeronautical Engineer well versed in both computational and experimental aerodynamics. His PhD, from the University of Glasgow, looked at aircraft propellers in off-design conditions, and therefore he can wax lyrical about rotary aerodynamics, unsteadiness, and aeroelastic effects. During his PhD, he taught Propeller Aerodynamics as an undergraduate course and delivered lectures in Aeroelasticity, in addition to tutorials and laboratories across the aerospace syllabus. The work was sponsored by Dowty Propellers, a subsidiary of General Electric, and the clearance to publish some of the work has only just been authorised – he presented at the American Helicopter Society (AHS) Forum ’74 in May 2018. 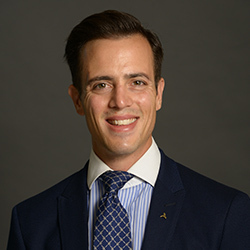 Since 2014, Harry has worked at the Aircraft Research Association (ARA) in Bedford, England, where he provides rotary aerodynamic expertise in both computational and experimental testing. His work ranges from writing numerical models for customers, through to directing a multi-million £/$ test in the 30MW Transonic Wind Tunnel. Through this role he has worked for customers around the world and it has taken him from Milan to San Diego to provide technical consultation. He has also delivered the plenary address at DiPaRT, an Airbus conference, on the blurring of the demarcation between computational and experimental aerodynamics. Ola Tannous joins the Department of Computer Science as an Senior Lecture. Dr. Tannous received her Ph.D. from the Electrical and Computer Engineering Department at University of Massachusetts, Dartmouth. Recently, she worked as an engineer in an R&D department of Caterpillar. Her research involves reliability analysis of warm standby systems using various methods. 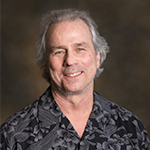 Howard Tullman joins Illinois Tech this fall as University Professor and Executive Director of the Ed Kaplan Family Institute for Innovation and Tech Entrepreneurship. Tullman is ideally suited for the role having most recently served as CEO of 1871, the top university-affiliated incubator in the world, and immediately prior to that position as the President and CEO of Tribeca Flashpoint College and Kendall College. Tullman’s interests range from venture incubation, to academic management, to entrepreneurship, to corporate and student engagement. Tullman graduated with honors with a BA in mathematics and economics and a JD with honors from Northwestern University where he served as the Chairman of the Editors of the Law Review. Tullman has also served as Chairman and CEO of Experiencia (a computer game development company), CEO of Worldwide Xceed Group, Inc., Managing Partner of G2T3V, LLC (an early-stage venture investment firm), Managing Partner of Chicago High Tech Investment Partners LLC (another early-stage venture investment firm), CEO of Tunes.com, CEO of Imagination Pilots, Inc., CEO of Eager Enterprises, and founder and CEO of a number of other high-tech companies over an entrepreneurial career spanning five decades. Illinois Tech is thrilled to have someone of Tullman’s experience and stature join us as the inaugural Executive Director of the Kaplan Institute. 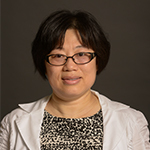 Rujia Wang joins the Department of Computer Science as an Assistant Professor. Her research involves designing secure and reliable memory architectures for future computing systems. Her interests span multiple areas including novel memory architecture, secure computing architecture, system reliability and high-performance computing. Rujia’s work has been published in top computer architecture conferences. She received her M.S. and Ph.D. from the Electrical and Computer Engineering Department at the University of Pittsburgh and she received her B.E. from Zhejiang University. Jean Wenger (Dir, Law Library) is a well-known leader in the law library community. She served as President of the American Assoc of Law Libraries; Chair of the Board of Directors of the Legal Information Preservation Alliance. Jean spent 30 years at the Cook County Law Library (most recently as Deputy Law Librarian and previously as Head of Public Services and as Gov't Documents/Foreign and Int'l Law Librarian). In addition, she spent several years in academic law libraries (U of I College of Law; Cornell). Degrees: M.L.I.S., Dominican University; J.D., University of Illinois College of Law; B.A., St. Mary's University of Minnesota. 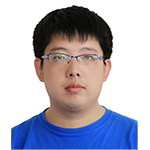 Yong Zheng joins the Information Technology and Management Department as an Assistant Professor in Fall 2018. Yong earned his PhD in Computer and Information Science from DePaul University in 2016. He began his career at IIT as a Post Doc in 2016 in the Information Technology and Management Department. He already has over 50 research publications in the field of recommender systems, a branch of data analytics. 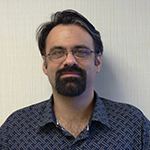 He is a member of both the ACM and IEEE Computer Society. 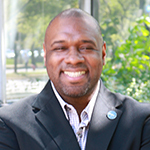 He has served in important positions for numerous professional ACM conferences and has received initial NSF funding.